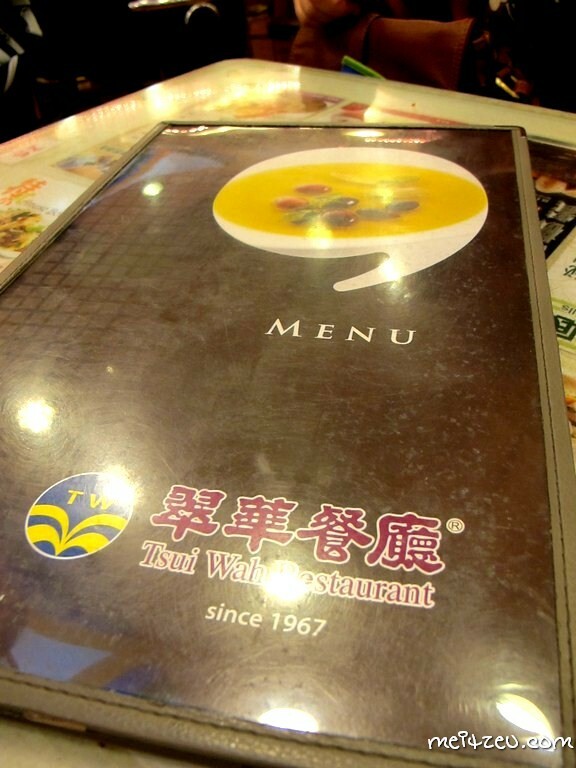 After our sight seeing with the antiques and culture at Hollywood Road, we went for afternoon tea at Tsui Wah Restaurant which is commonly known as the must visit restaurant in Hong Kong. 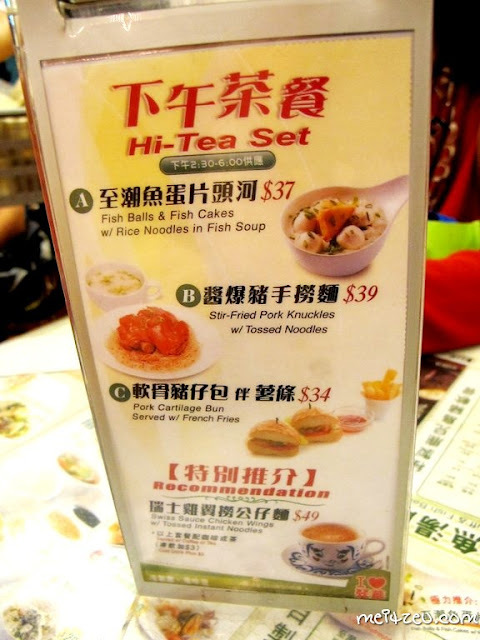 Those recommended meal for afternoon tea, ala HK style! Choose one from the menu and complimentary Milky Tea served as well. Namely pineapple bun, but without the pineapple. Hahaha :D I always wonder about the name. 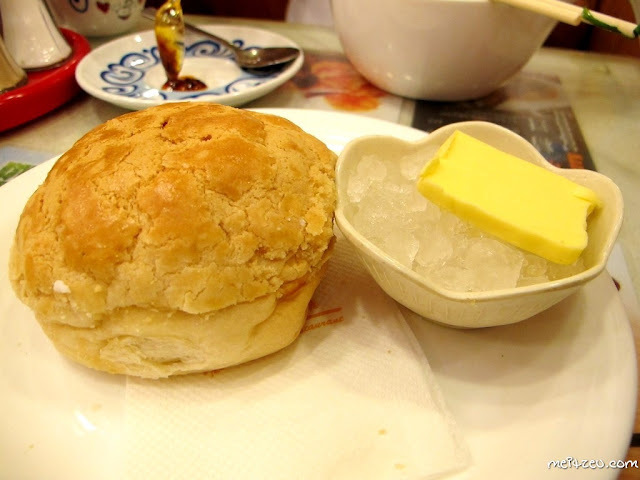 The Polo Bun served by Tsui Wah is HUGE! Almost the size of a human face, the butter on the outer layer of the bun was crunchy when I had it. 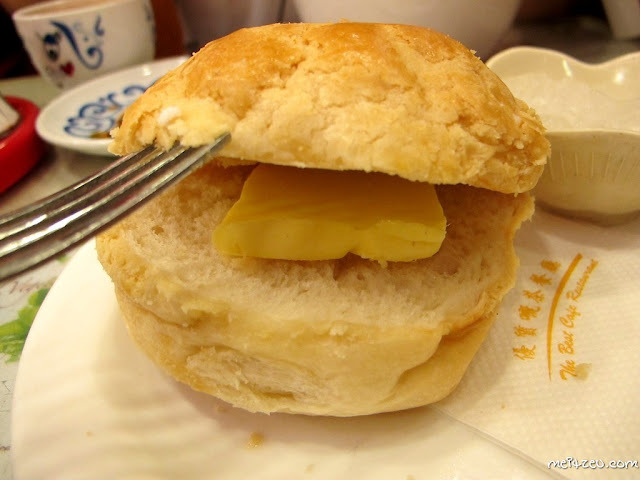 But first, we must put the cold butter in it and the taste of the whole bun will be complete just like the below! With Tsui Wah recognised cup design. I heard about the term "奶茶" from HK movie. And yea... 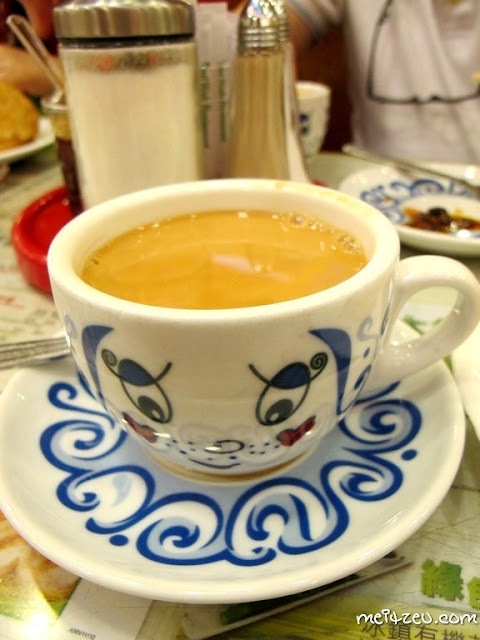 I think I had milky tea almost everyday during Hong Kong trip and each restaurant I went served quite a good tea, just like the tea made by my parent. It is not necessary to visit Tsui Wah Restaurant at Central Branch, the restaurant can widely found any where in Hong Kong. So... 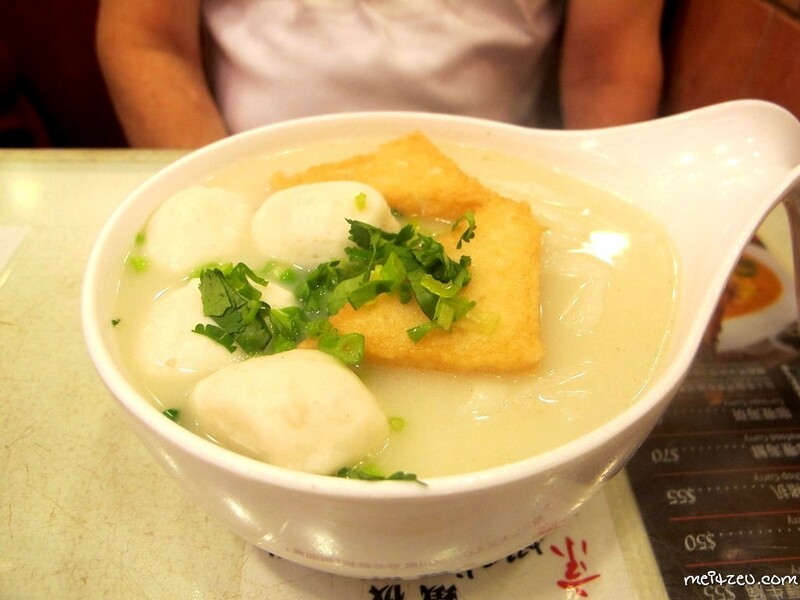 I told you I had quite a feast during my Hong Kong especially with the parents and relatives. :) Looking forward to share more about the food I had! Butter served on ice cubes is unique, something new I discovered. Nice try out and oh!!! hopefully I can go to Hong Kong. Waiting for the off peak season. Merry Christmas to you and everyone at home, take care. yes I like the polo bun.. The Polo Bun served with a slice of cold butter looks good. Its should be that way rather than our local strange renditions. AhhhhI also see a cup of milky HK tea. Love that! The Milky Tea cup is so cute! Looks like is part of our Malaysia culture that eventhough we went travel abroad, sure jalan-jalan cari makan one. Hahahha..